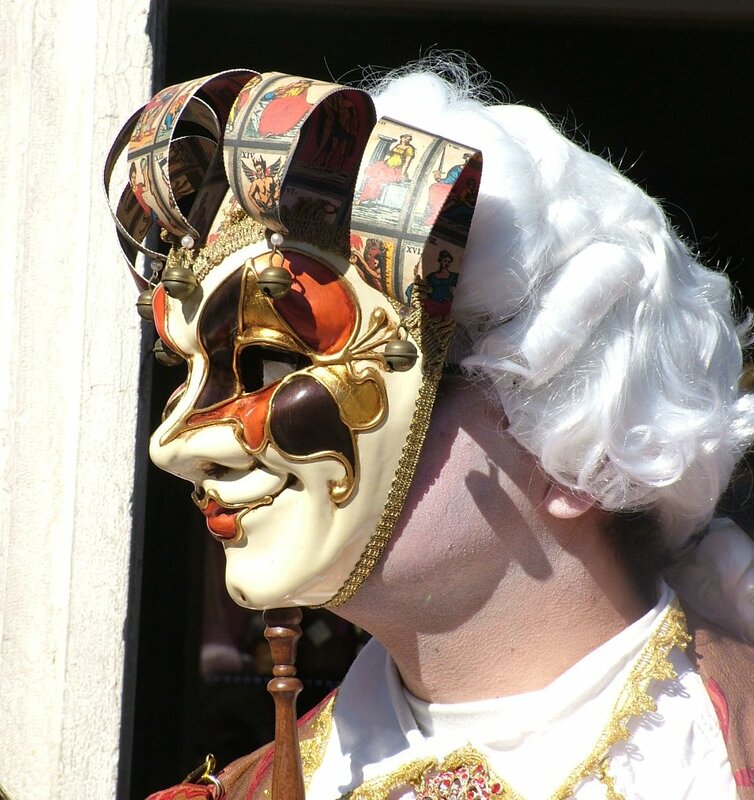 The Carnival of Venice: The Carnival is a festival that is celebrated in countries of Christian tradition (especially those of Catholic tradition). The celebrations are often held in public parades in which playful and imaginative elements dominate and, in particular, the distinctive feature of the carnival is the use of masks. Whether it should be intended as an abandonment of flesh as food or as lust, in view of the Lenten fasting and penance imposed by the Church, it is not known with certainty. The fact is that the Carnival period, between the end of Christmas and Ash Wednesday, includes both these transgressions. In reality, the Carnival was a form of social impulse control and the tendency to excess was a gracious concession for a period of time. 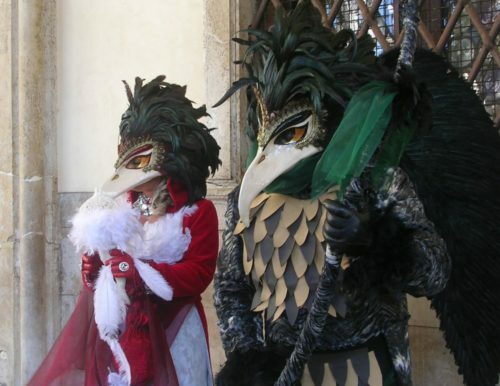 And the Republic of Venice, a highly strict hierarchical society, found it useful to give the illusion to the lower classes to become for a short time of the year similar to those in power, allowing them to publicly mock the rich by wearing a mask: the aim was to dilute social tensions and maintain consensus. 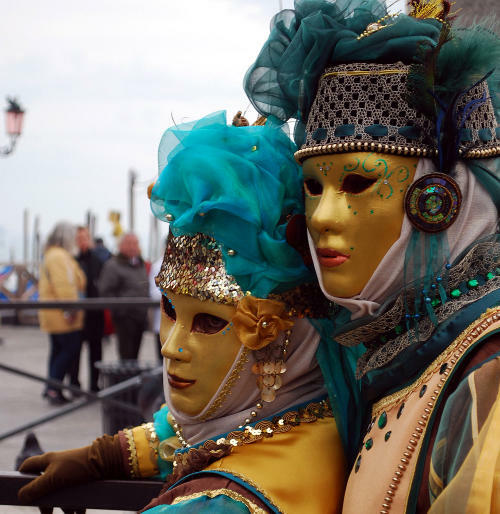 The Carnival of Venice, if not the most spectacular, is certainly the best known for the appeal it exerts and the mystery it continues to hold , even now that 900 years have elapsed from the first document that refers to this famous festival. Who has never heard about it? There are records of the festivities of the Carnival since 1094, under the doge Vitale Falier, in a document that talks about public entertainment in the days preceding Lent. The official document that declares the Carnival a public holiday is from 1296, when the Senate declared the last day of Lent a public holiday. However, the Carnival has much older traditions which point to the ancestor worship of the passage from winter to spring, cults present in almost all societies. Just think of the Roman Saturnalia and Dionysian cults in which the motto was Semel in anno licet insanire (“Once a year you are allowed not to have any refrain). 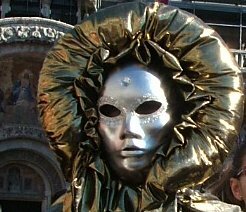 Similar is the spirit of the Venetian oligarchy by granting the lower classes and the illusion of becoming, for a short period of the year, similar to those in power, allowing them to publicly make fun of rich people wearing a mask on his face. A useful safety valve to control the social tensions following the example of the Latin Panem et Circenses. Once the Carnival was much longer and it began the first Sunday in October to intensify the day after Epiphany, culminating in the days before Lent. The Carnival now has a duration of about ten days in coincidence with period before Easter, but Carnival fever begins long before that . Indeed, perhaps it is not unfair to say that, in Venice, the Carnival fever never ceases during the year. A subtle euphoria creeps through the narrow streets of the most beautiful city in the world and grows imperceptibly and as naturally as water, blurs the outlines of things, suggests the mysteries and atmosphere of times gone by. Once the Carnival of Venice allowed the Venetians to leave their occupations to devote themselves entirely to entertainment. 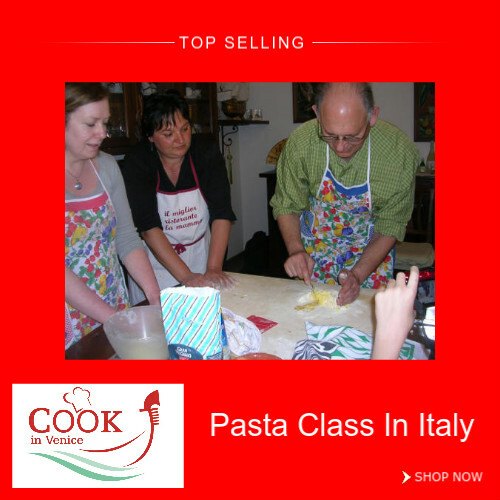 Stages were built in the main areas, along the Riva degli Schiavoni, in Piazzetta and Piazza San Marco. People flocked to see the various attractions: jugglers, acrobats, animals, dancers. The street vendors sold dried fruit, chestnuts, and fritole (pancakes) and cakes of all kinds and they were very careful to point out the origin of their merchandise from distant countries. 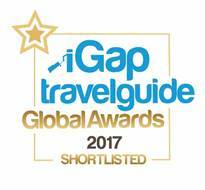 Venice, the great commercial city, has always had a special relationship with faraway countries and the East in particular. In any edition of the Carnival there never amiss a reference, a common thread that continues to tie the legendary journey of Venetian Marco Polo to China, at the court of Kublai Khan, where he lived for about twenty-five years. A thread that runs along the ancient Silk Road. 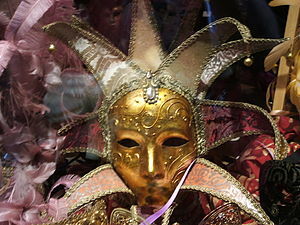 The Carnival of Venice has ancient origins. 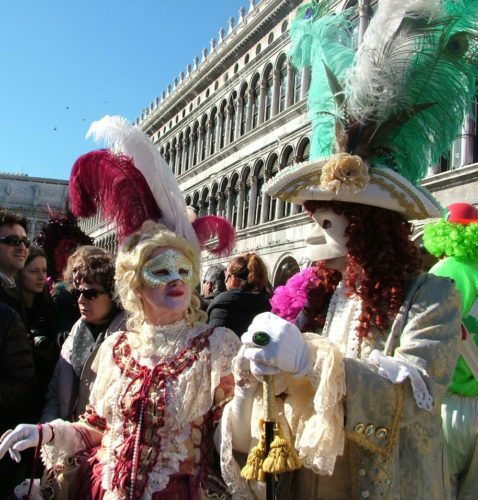 During the Venetian Republic the festivities lasted nearly six weeks, from December 26th on to Ash Wednesday. 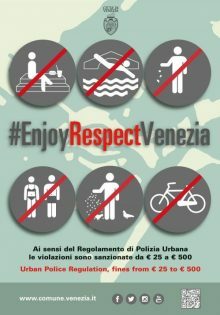 Often, however, carnival license for the use of masks were given since the beginning of October, And even during the Festa della Sensa, which lasted 15 days, the use of masks and disguises was allowed. 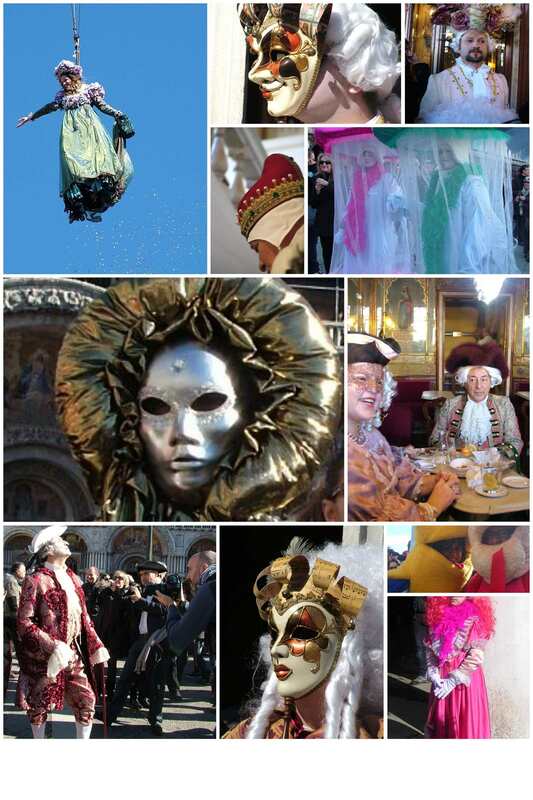 In the eighteenth century the Carnival came to last for a few months and to embrace a much longer period of time. 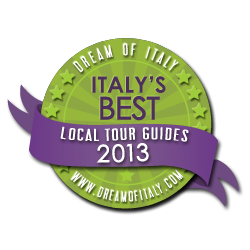 This has helped to create the image of Venice as a city dedicated to pleasure. From the middle of ‘400 till the end of ‘500 , the organization of the carnival festivities began to be regulated and formalized and was entrusted to the Compagnie della Calza, associations of young nobles who wore coloured socks to stand out and depending on the district of belonging. The most important days of Carnival were then, as today, Shrove Thursday and Mardi Gras. During the holidays, in addition to private parties, many events of great attraction and prestige were organized for the delight of the Doge and all the authority of the government along with high-ranking foreign guests. The noble crowds could watch the events from the balconies of the Palazzo Ducale, in the square of San Marco. The Strength of Hercules, where the Castellani (inhabitants of sestrieri di Castello, Dorsoduro and San Marco) fought the Nicolotti ( inhabitants of the other sestrieri) with a great test of strength between two human pyramids. The Moorish dance, which was a romantic war dance with swords from the twelfth or thirteenth century in the Mediterranean and which represented a clash between Christians and Moors. This dance was performed especially in the carnivals of the ‘600 and ‘700. The flight of the dove or the angel. 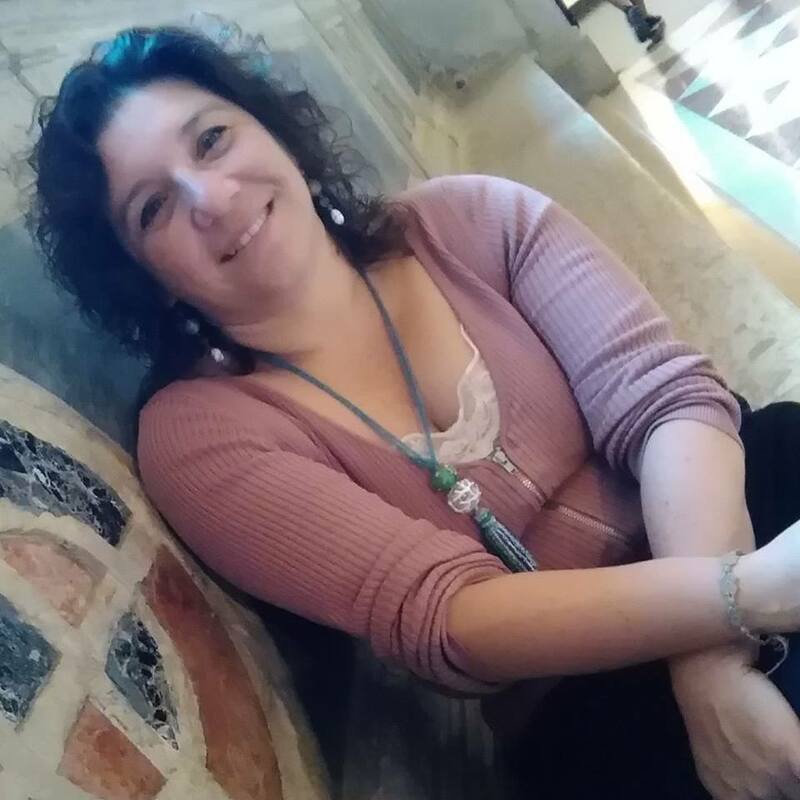 Initially it was the attempt of a Turkish prisoner to walk along a rope that connected the church tower to the balcony of the Doge’s Palace to deliver a gift to the Doge and receive the grace and freedom. Over the years, the walk on the rope was replaced by less dangerous angel flight, which was done by harnessing a person coming down the same path and that symbolized peace. Then the angel was replaced by the dove, which releases confetti during its descent. Only in recent years the show of the Angel has been brought back to the crowds. Some Carnivals have passed into history. That of 1571, during the great battle of Lepanto by the Christian forces, when the carnival was set up on a Sunday with a parade of floats: the symbol of Faith dominated with his foot on a chained dragon and was followed by the theological virtues. 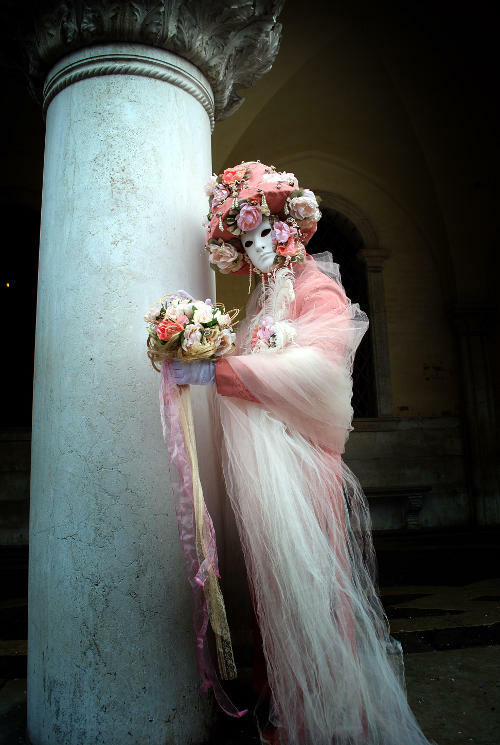 In 1664 in occasion of the wedding in the Cornaro family home in San Polo, the family arranged a magnificent masquerade attended by many young local people. 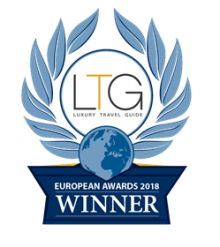 The splendid procession passed through Venice and stopped in two of the most famous monasteries of the city: San Lorenzo and San Zaccaria, where nuns of noble birth lived. You can only imagine what happened in those two monasteries. On 27 February 1679 the Duke of Mantua performed a procession with a retinue of Indians, Africans, Turks and Tartars who, along the way, challenged and fought six monsters. After killing them the whole population began to dance. 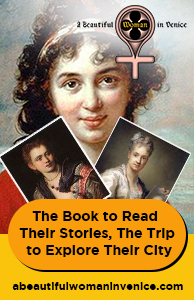 For the Carnival of 1706 the young Venetian nobles disguised themselves as Persians and then passed through the city to perform in the courts and in the p major monasteries of nuns in San Zaccaria and San Lorenzo. 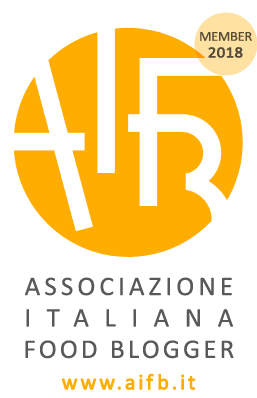 chi a giocar chi a ballar. 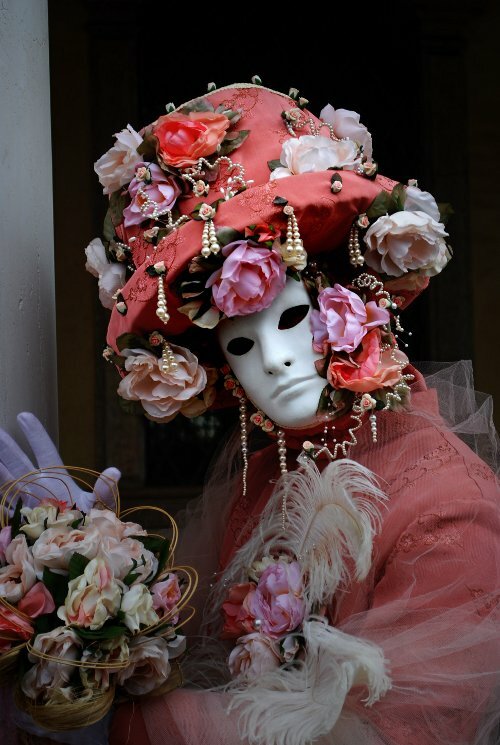 In the nineteenth century, however, the Carnival embodied the international romantic myth of Venice and its Lagoon, with its marshy mists and appearance it became the destination for artists, writers, musicians, adventurers, and beautiful ladies from around the world: Sissi of Austria, Wagner, Byron, George Sand, Ugo Foscolo. Disguising with a bauta or one of the many fantastic costumes was a tradition for the Venetian who lived intensely this time. 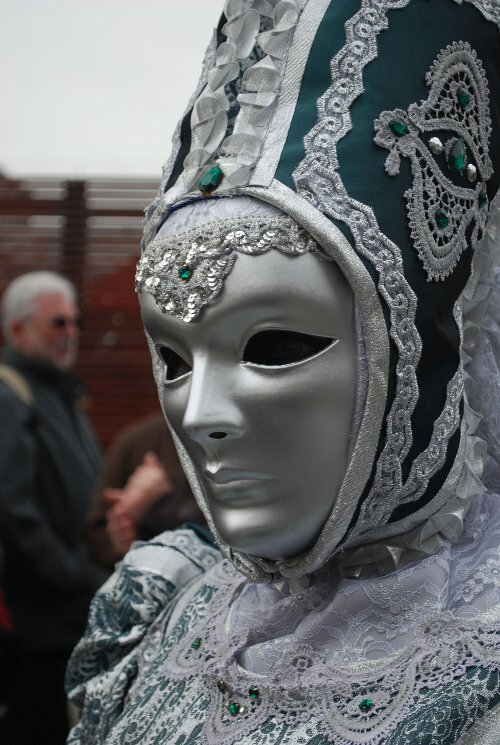 Along the streets, the canals, in the “liston” invaded by masks, the greeting was: “Good morning, Siora maschera.” Personal identity, gender, social class no longer existed, it became part of the great illusion of Carnival. Everywhere, in cafés and public theatres, private houses and academies, performances and plays were staged , and there were dances and parties in all the palaces and noble residences. The Carnival of today is a magnificent event that involves major sponsors, television networks, and cultural foundations that draws crowds of onlookers from around the world with thousands of masks in celebration and in a bright and peaceful occupation of Laguna. Carnival today is the result of evolution and integration of many events and historical events over the centuries. 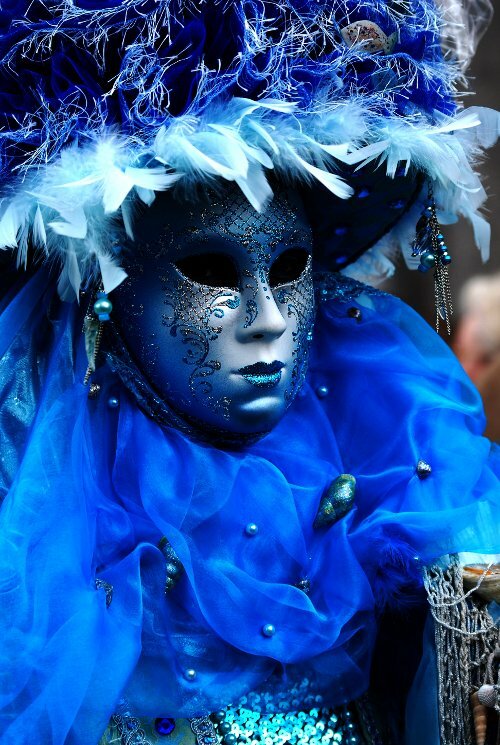 Among the streets of the beautiful city, for about ten days, there is a continuous theatre of joy and playfulness-all in masks to celebrate the charm of a world of dancing, jokes, galas exclusive and romantic encounters. 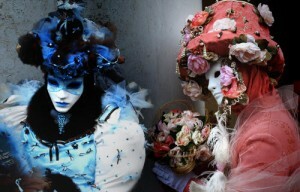 The Carnival of Venice will take place from 19/20 February and from 26th February till 8th march 2011. First meet-up for Expats in Venice: what a lovely evening!